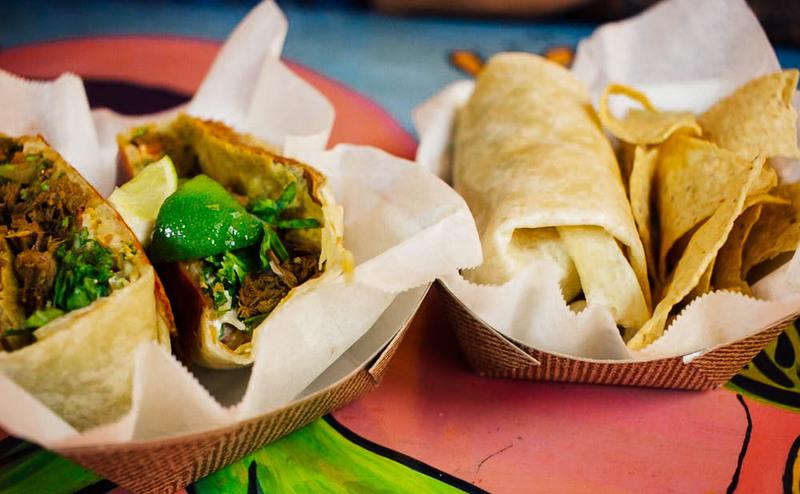 Wako Taco one of the best authentic Mexican food in Orlando Florida! 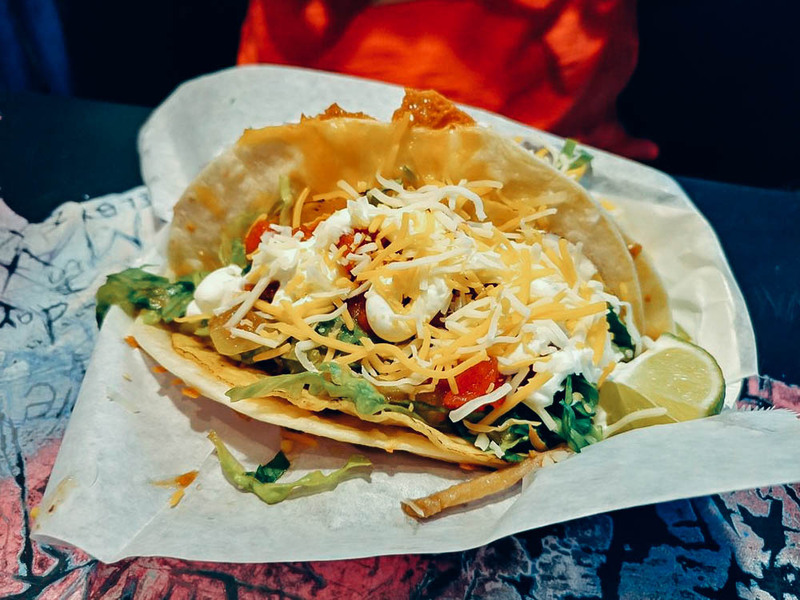 If you ever had that unyielding hunger or that roaring craving for authentic Mexican food but with a cool masked luchador themed eatery with popping colors; well look no further, go and check out Wako Taco authentic Mexican eatery. They have the best tasty tacos in the longwood area, they are close to the intersection of Ronald Reagan and State Rd 434. For some its a travel, but let me say that you will not regret getting there and having a luchador taco. Everything is freshly made to the order, they are swift with your order. It also depends on the time of day, I went after rush hour so no wait time, but if you do wait no worries their food will not dissatisfy you, your taste-buds and you will be in taco heaven before you know it. 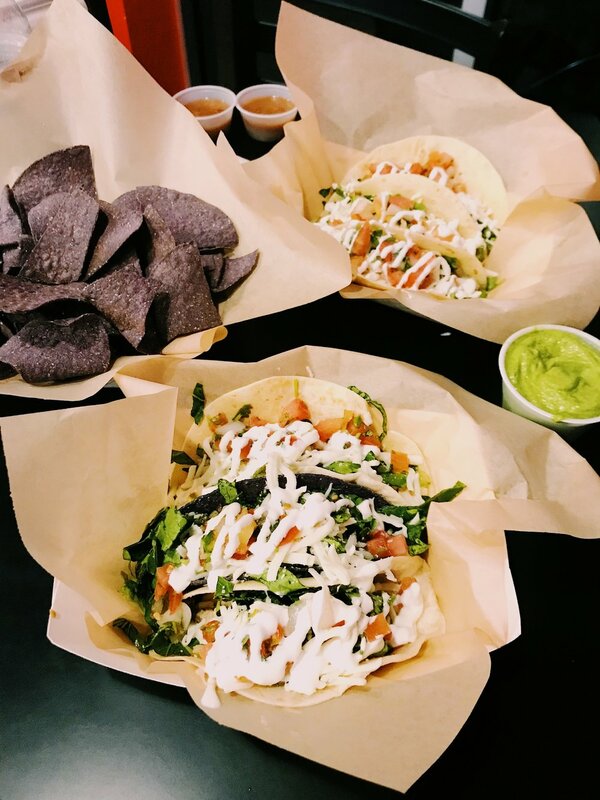 They have your favorites white rice, black beans, refried beans, cilantro, guacamole, pico de gallo, and freshly sliced avocado, and they happily customize in accordance your likes/dislikes. Definitely try the free homemade hot sauce at the counter, there's a mind and hot. I really liked the hot sauce, it didn't seem to spicy at first but it has a after kick, I did love it though. So definitely make it over to Wako Taco! you will have great time, you can also buy luchador masks at the counter a super plus for anyone that like wrestling. You know when you been to a town like many times but then its like you find this hidden food gem, and you are like “why have I missed this before”. That is exactly how I felt like when I found out about Gianni’s Cafe. I came to Mt. Dora just to chill and hang out, cause Mt.Dora is the most laid back fun town to take photos of wildlife and just historic finding and things. So at one point I got hungry and wanted pizza, but I didn’t want to go to far, so I pulled up google on my phone and search for an Italian restaurant near me. Sure enough Giannis pulled up in the search. I was like “Giannis what is this place that I never heard of it before”. Unknown to me and to my luck was in walking distance from where I was at that moment. So I decided to take a walk; because walking is good for you of course. When I was disappointed that they didn't have pizza. However, the waiter suggested the pasta creation, OMG!!! That was heaven. I got a caesar salad and spaghetti ( cause I love spaghetti). The pasta was delicious and fresh, cooked al dente to perfection!. I mean everything on my table was tasty and wonderful. This is definitely one of those hidden gems, asloif you didn’t know Giannis, is a family owned and operated, full service Italian Restaurant. The chef Gianni Liverotti is the owner of the place and is Italian. The food really tastes like you are dining in Italy. and service is fast and friendly. My first time at Giannis and will definitely be back. Food was excellent, prices are great and service was outstanding. I will definitely will make this restaurant one of my favorites. I highly recommend this restaurant for any occasion. Finally found a good place for fresh Italian food with great atmosphere. On the menu is a Italian cuisine from all the way from College Park on Edgewater Dr. Orlando, FL. 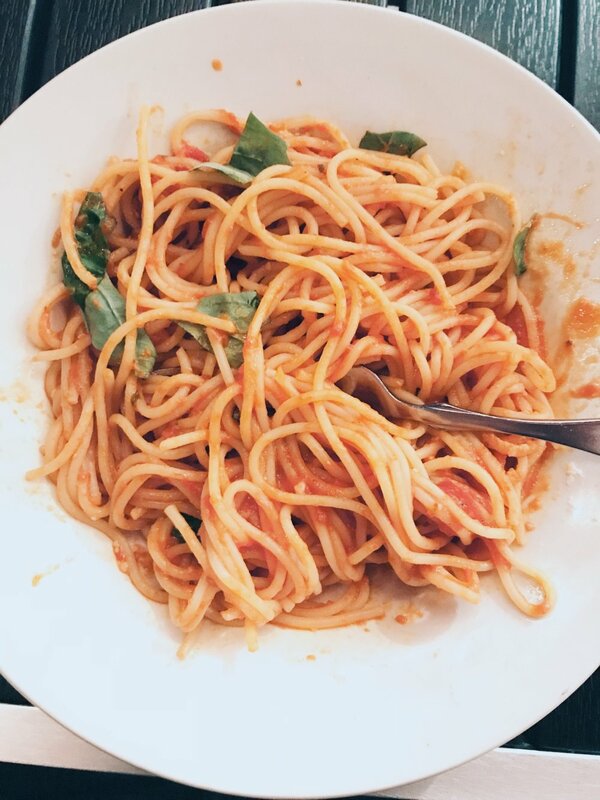 Nestled in a small building between Princeton Street and Edgewater Drive there is an artisan Italian eatery that makes some delicious Italian food. By just taking one whiff of the the emitting delicious aroma that is coming from the cafe will teleport you to Italy. True story. Michael Falcone and his family in 2013 opened Trevi Pasta on College Park, Florida which specializes in artisan fresh pasta, ravioli, & potato gnocchi. All the pasta being served is made fresh daily. Trevi Pasta serves authentic Italian food and also has a shop inside where you can buy ingredients. It may have only a few tables but it's great for a lunch or dinner with a loved one or a small family. A perfect place to take a date and eat delicious food. At the counter and you can select your choice of pasta and sauce. Then Michael and or his staff will make the pasta right there on the spot and they will cut your pasta for you ....the menu changes daily but no worries because their food never disappoints. If we were to describe Trevi Pasta, its the feeling of being in a small storefront space that looks more like an ice cream shop or a bakery but then when you go inside the shop is like you are in this little indi shop in Italy. I had passed by the shop a couple of times and I never noticed it until I was on yelp looking for those one of a kind authentic Italian food shop/cafe whole in the wall type of restaurant. The best part of this restaurant is its owners, Michael and his wife and staff really make you feel welcomed and really care for their customer. They are good happy people that make wholesome fresh Italian food. 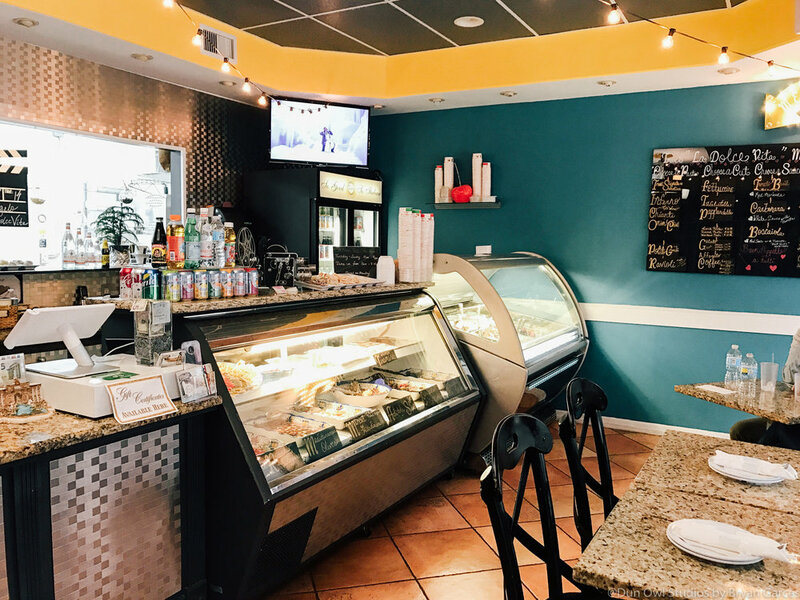 Be sure to visit Trevi Pasta, the cafe is located at 2120 Edgewater Drive, Orlando. The shop is open everyday for lunch and dinner. Like and follow them on Facebook, Yelp, and Instagram . Hope you guys like this post, let us know what we can improve and what else you would like to see on our future posts. Till next time, keep a look out for our new post. 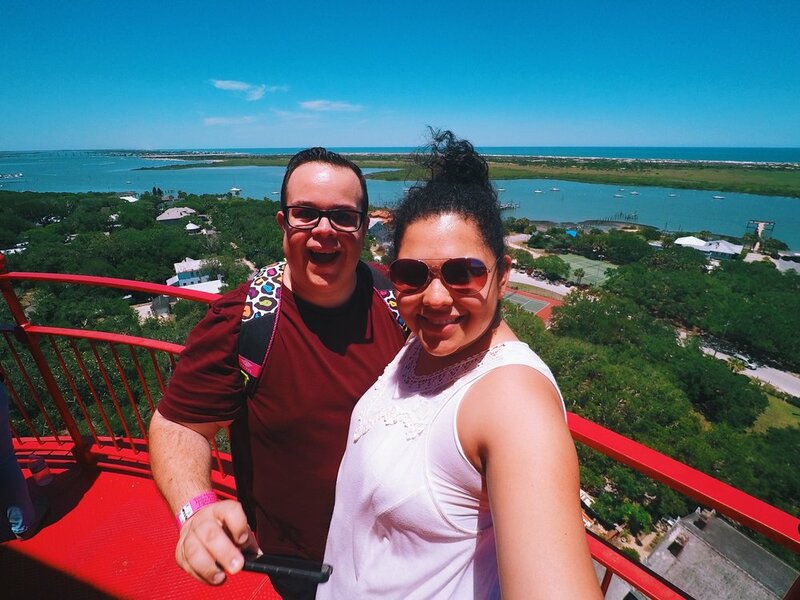 On today's post we talk about this awesome place called St. Augustine, FL. I’m sure most of you have gone to visit but have you really visited St.Augustine and its hot spots? Well stay tune after a quick history lesson and we will talk about some of the many awesome places to see and visit and eat in St. Augustine. Founded in 1565, St. Augustine is a city on the northeast coast of Florida. It lays claim to being the oldest city in the U.S., and is known for its Spanish colonial architecture as well as Atlantic Ocean beaches like sandy St. Augustine Beach and tranquil Crescent Beach. Anastasia State Park is a protected wildlife sanctuary. The Castillo de San Marcos is a 17th-century Spanish stone fortress with views of the St. Augustine Inlet. Did you know? that you can use one tank of Gas to go to St.Agustine. We can go all day talking about this fortress and it will not end how much grim history is in this place, this one of the most sought out attractions in St. Agustine. Make sure you get there early to grab parking, also parking is about $10.00, they do take credit and debit cards. The Admission fee to the park is $10.00 for anyone above the age of 16 and up, 15 years old and younger is free. The admission ticket is good for 7 days. On national park day is free all day. At night there are ghost tours in the castle be sure not to miss that attraction. This is the most weirdest attraction yet but its really fun! We actually got a good groupon it was $20 dollars for 2 people! Their website also has great online vouchers, and it combines the Red Trains and The Ghost Train in the voucher packages. Be there early because it gets packed, best time to visit is during the week. We went on a Friday during the day and it was awesome! You will see shrunken heads, weird disease stories, space robots, weird cases and near death survival stories and a giant. Trust me you will not be bored. Groupon does wonders when you are traveling to the next attraction, I advise you to save some money grab the Groupon off the water tours Groupon site and go and sail to the sea. We did the sunset boat tour for $25. On get there 15 minutes early before your boat leaves. By the way, you do travel in style the boat that you sail in is called The ‘Osprey’ it is certified to hold 49 passengers with comfortable seats all around. There is also life jackets above your seat. The boat is fully enclosed and shaded except for the bow, with windows that can roll up or down and a restroom on board for your convenience. When you are sailing in the Matanzas river you will or might see Dolphins and Manatees, trust me is a sight to see. You will pass under the bridge of lions, which is beautiful architecture, and the beautiful sunset will have you at awww, so if you have a wife, girlfriend or a girl you like then take her on the sunset tour, its also great to experience with family and loved ones too. The lighthouse is subject of numerous ghost stories and supernatural legends. But is it all really real? You will have to find out yourself by going on one of the lunar ghost walks or tour. The Museum keeps the light burning as a private aid-to-navigation. In 2016 the museum changed its name to the St. Augustine Lighthouse & Maritime Museum. Ready for a great work out? The lighthouse stands 165 feet above sea level, it has no elevators since it was build it 1874. So there is a total of 219 steps until you reach the observation deck. If you do take the challenge just pace yourself, some people have been known to get lightheaded and winded. Admission is $12.95 and $10.95 for seniors and kids. There is a shop to buy souvenirs and a snack stand to buy some light snacks and park food. Parking is free but it is first come first serve. Lighter Museum is housed in the former Alcazar Hotel built in 1888 by Henry Flagler. Today it is home to one of the best collections of fine and decorative 19th century art in the country. Did you know? that the 1st floor inside museum it used to be an olympic sized pool, the pool is nestled in the center of building so that everyone from all the quadrants of the hotel could see the pool. Now a days the first floor is reserved and rented out to do weddings and receptions, very romantic sight to see. Groupon will save the day once again! If you are looking to go the Lightner Museum, you can snag a Groupon that pays $20 for 2 people instead of the $20 each for adults. The Groupon is available usually after the holiday seasons. Outside and Inside the museum, plan to bring a camera or your phone camera, and travel light cause they make you leave your belongings at the front desk. 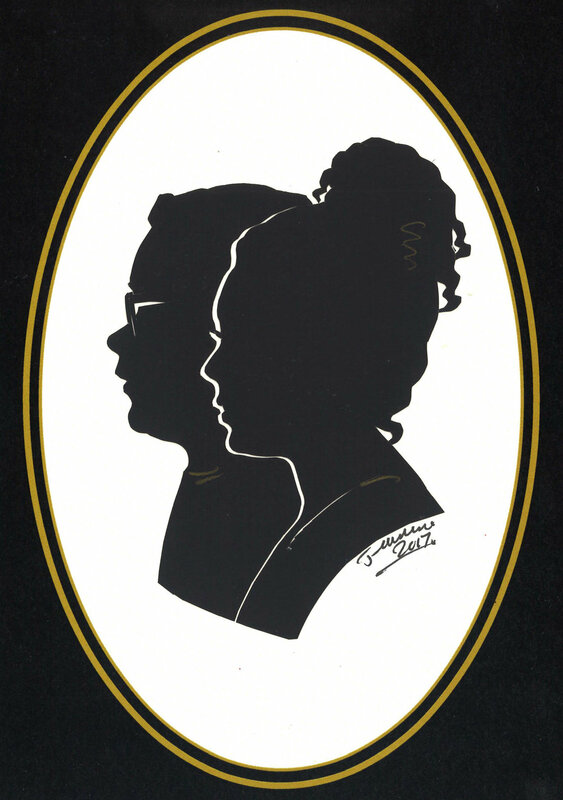 One of the many cool things at the museum is the The Silhouette lady, she is usually sitting by the entrance before entering the front desk to redeem your vouchers. Jeanie Owen does amazing work, and she is very quick too! She is a certified master in making Silhouettes. The photo below does not give it justice, is an experience to witness and live. Next stop...Food!! After all that exploring and walking you must be hungry, well you are in luck. 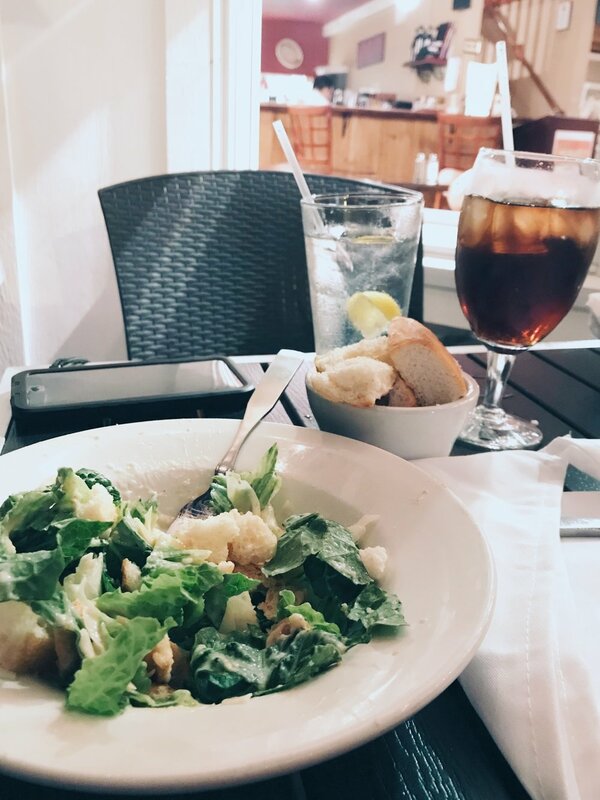 Below we will be recommending our top 3 spots in St.Augustine to eat some delicious grub!! Our recommendations are based on cheap, quality, wholesome food! Our first eating spot is Pizza Time, St.Augustine's legendary pizza restaurant, where the line goes out the door and outside around the corner. The pizza is handmade with fresh ingredients every day! Make sure you go there when its not peak time, cause you will have to wait, but words of reasoning says that this is the best New York Style pizza in town, believe me I have been there. 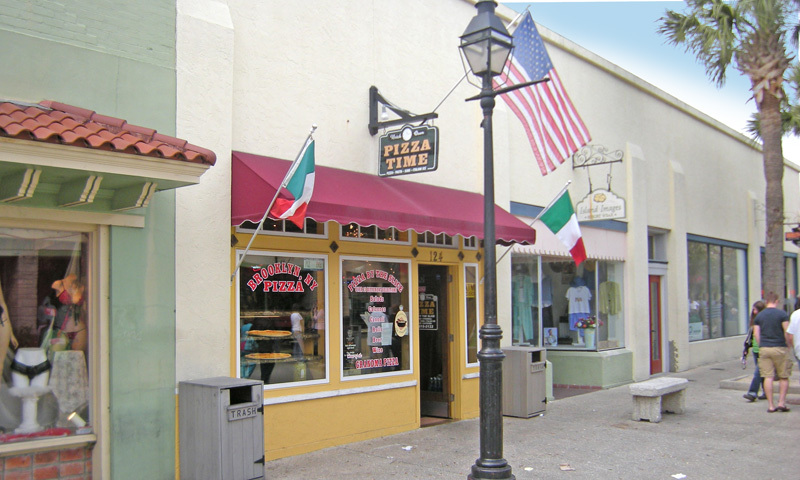 Pizza Time located on St. George Street in historic downtown St. Augustine serves great New York style pizza! 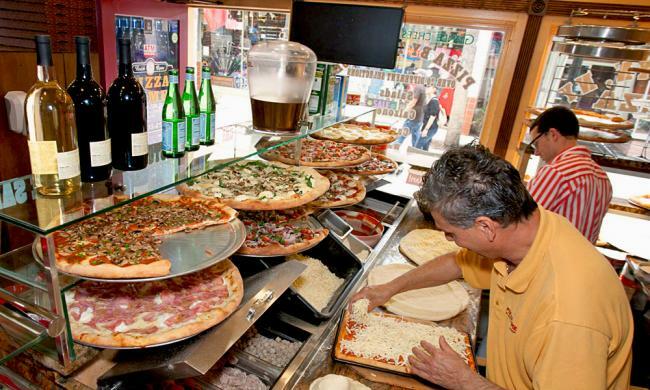 This Italian restaurant creates pizza with fresh ingredients and a true New York style crust. They also serve calzones, cannolis and other Italian dishes but pizza is the most popular choice. They do not take credit cards so bring cash with you and you can have your own great slice of Pizza Time pie. 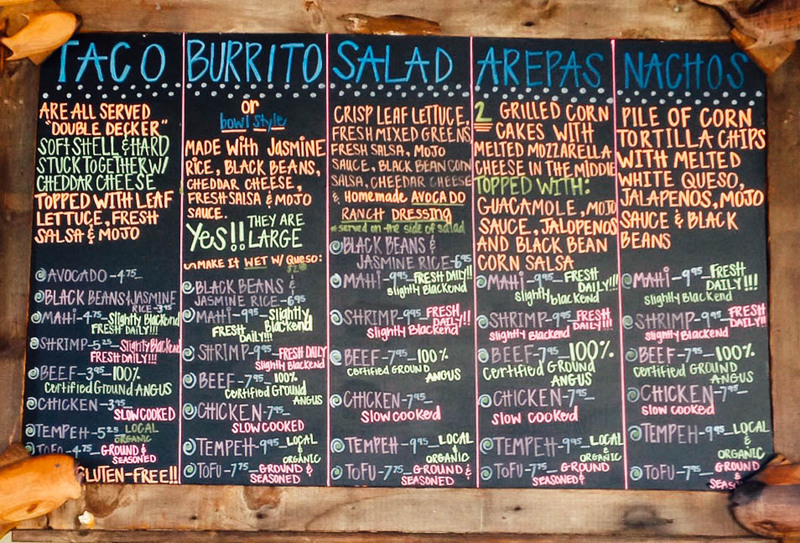 Burrito Works Taco Shop was founded in 2006 by Nicolas Kimball and his wife Robin. Today, they make all the the salsas, sauces, meats and beans with organic and sustainable products everyday, Everything is made fresh daily, all of their UFO's, Tacos, and Burritos are delicious and fulfilling. Their best thing in their menu that really pairs up with any of their featured food items is their guacamole! Its finger licking good and addictive. I advice to visit them on a time that is not in peak season or that there is no major events going on in St. Augustine because its a tiny food shop. So the line will go out the door. Burrito Works Taco Shop is best place to grab some grub and it does not make a hole in your pocket. Its Cheap, Quality and Fulfilling food! We are leaving the Historic Downtown District of St. Augustine and heading over to Mojos Tacos, another awesome and delicious food shop on Anastasia Blvd. Literally just drive over the Bridge of lions and once across the bridge like heading towards the St. Augustine's Light house, Mojos Taco Shop will be on your right hand side you can't miss it. 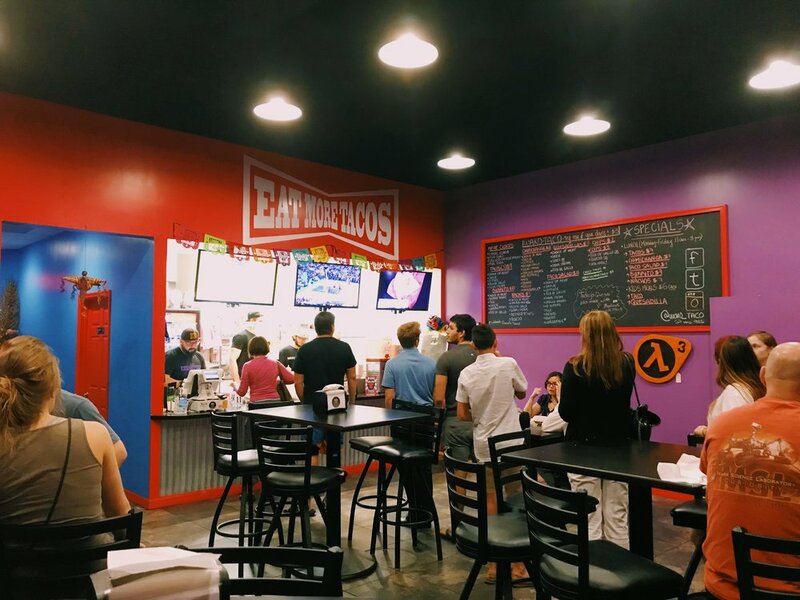 Mojos Tacos is a small stop that offers some amazing tacos, taco salads, and burritos, they also offer fresh vegan-friendly options . The place is clean and it has wonderful customer service. It's always busy any time you go, but like other restaurants it has its peak times and slow times, we got lucky cause it was right before dinner time and it was calm. The service and food is just very great. Finally, Mojos Tacos grub it's just wholesome delicious food. Well we hope you enjoy your trip to St. Augustine, now there is many other options to go and explore. From Castillo de San Marcos, to the Lighthouse, then Mojos Taco shop, that could be a day of Fun, just saying. Its a wonderful city and on its festive time is just wonderful, it will be crowded but enjoy it and have patience with others. If you have any suggestions or ideas on a place you would like for us to do a post about let us know and we will be happy to talk about and recommend more places to see, and places to eat and make memories that will last forever.